The light switch is a Lutron dimmer switch. There are 2 switches in the switch box -- one works and one now doesn't. The switch stopped working after I flipped off the circuit breaker and flipped it back on. As a random note, I flipped the circuit breaker off/on for a different switch box. A similar thing happened -- the switch no longer worked, but after a few hours the switch started working again. Unfortunately, my other switch never started working again after several weeks. there is not way to know how the wires are run by the description. it is possible to connct true 3-way switch, it will required additonal pair of wires to all 3 switches (meaning 3-14/3 wire). so call 3-way switches is only two way. I have not seems a real 3-way switches. go to the following site. they a connection diag. for the switches. It's quite probable these units have gone faulty, due to the "Outage" see my previous post below.. You will need to replace these units, to restore functions. Please, have a read below, it may save you many $$ We have all had them, Power Outages, inconvenient, and also very deadly, well to Electronic equipment anyway. You see when any Circuit, is Made or Broken, at the instant of contact, when reconnecting, the current draw is considerable, also, after the connection has been made, and the "Load" being connected, and the Current draw is large, all sorts of transients, Spikes, Surges, Oscillations, is reflected, up and down the entire network. Now along with this, MOST people do NOT completely remove, the unit from the mains, by withdrawing the plug. nor, probably, even turn it off. This is wrong, ALL/ANY electronic equipment, that is connected to that Grid, will also encounter a phenomenon know as "Inrush Current" Now, this Inrush Current, Can and Does cause a great deal of damage to electronic equipment, the, instant reconnection, without going through an ON/OFF switch, and Power Conditioning Circuitry, well, the initial Current draw for that instant, is incredibly, high, and with nothing between, the current surges in, stressing everything, in the Power Supply, and more. Now along with that, you also have Transients, Spikes, Surges, Ringing, Oscillations, caused by the reconnecting of the Circuits. Joining of Cables, or Contacts. When the Power Goes OFF, you should NEVER leave anything plugged in after a Power outage, you need to withdraw each and every plug, from ALL Electronic equipment, note here, purely resistive, and relay type equipment is usually immune, it must be removed, and it shouldn't be reconnected, until about 5 minutes, AFTER the Power has been reconnected. This is to Avoid, all of the bad things that are caused by the reconnection back onto the Grid. If you do this, you can be assured of you Electronic items, lasting at least as long as they should, and not suffer premature deaths. The tail lights on my 2006 dodge grand caravan don't work. Yet all the other lights do. I have replaced the light switch on dash but it did not fix the problem. Any ideas what could be wrong? Get the wiring standard for trailer socket on car / caravan . Then get a 12v probe and test the voltage is coming out the correct pins on the car when the tail lights are turned on. Check the Earth Connections on the caravans tail lights. Check the Caravan has an earth connection to the car body. see how pin 3 shows an earth wire it would have a wire on car socket pin 3 going to the car body. If the earth wire is corroded or broken I think the tail lights on the caravan would not work. It may be a different pin on your setup . My old ceiling fan stopping working, I replaced it with a new one and it still doesn't work. I also changed the light switch. Have you checked the circuit breaker? you have a low amp fuse protecting transformer. could be thermostat issues. Light Switch Won't Work, How do i fix it? Have you checked the circuit breaker for the headlamps? It is in the fuse panel in the glove compartment. Should be 20 amps, probably in position 22. You'll most likely have to replace it with a known good one; there's no way to tell if it's bad just by looking at it. If that doesn't take care of the problem, it could be in the headlamp switch, the dimmer switch, or somewhere in the wiring. If one headlamp was out, it would be easy. With all four out, it gets a bit more complicated. If your Trofeo has Twilight Sentinel, it a WAY more complicated. If replacing the circuit breaker doesn't work, I would recommend finding a shop manual (eBay is a good source) and following the diagnostics. * Flip the switch off and on in your breaker/circuit box for 10-15 minutes. May reset your washer. * If that doesn't work, try running diagnostic/reset cycles by pressing heated dry -normal- heated dry or heated dry-sanitize-heated dry in sequence. If the cycles run fine, you will rule out a power, latch, motor/drying issue. It also may (hopefully) reset your system. * If normal function still does not resume after that, make sure your power (from the breaker box) is turned off and unscrew (with a star-shaped screwdriver bit - check your car emergency kit or toolbox, you may find you have it) and open the front button control panel and check all connections. Try carefully unplugging and replugging wires and look for any corrosion/moisture on the circuit board. * If everything looks good but that does not work, test the circuit board by unplugging the green ribbon cable from the control panel, reassembling with the ribbon cable unplugged, flipping your circuit back on and then closing the dishwasher door. If the drain motor runs, it will show you that there is still some function with the circuit board. Although it doesn't rule out the circuit board completely, it will point to a most likely control (button) panel issue and try replacing that. If the drain test does NOT run, it may be the circuit board that needs to be replaced. There may be some additional instructions specific to your model hidden in an envelope behind the kickplate of your washer. Hopefully some of that helps! My brake light was not working so I replaced the bulb, it still doesnt work with handlebar lever or foot pedal. Check circuit breakers/fuses for proper operation. If circuit breakers/fuses ok, then could be a wire problem that would be common with both brake light switches, most liklely in rear fender area. You do have the switch on when checking brake light? Do yourself a favor an take your vehicle to a qualified repair shop ! Replacing parts without doing the electrical testing is no way to fix anything . Checking B+ voltage with a DMM - digital multimeter is ! 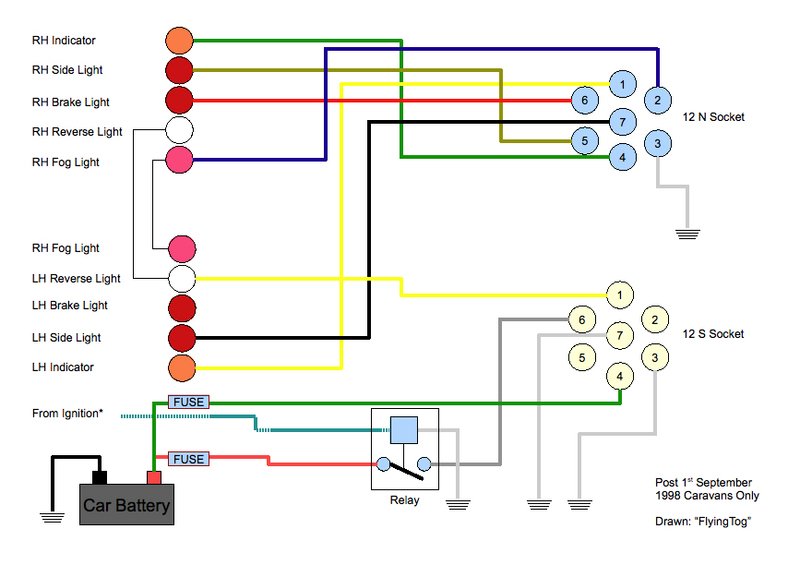 Free wiring diagrams here http://www.bbbind.com/free_tsb.html . Do you know what a automotive electrical diagram is ? Enter vehicle info. year , make , model and engine size . Under system click on lighting then under subsystem click headlamps . Click on the search button ,then on the blue link. Circuit breakers hardly ever fail . Probably the switch or dimmer switch or a bad ground . Power window on driver side stopped working and the door locks stopped working . Also this morning the battery was dead but nothing was left on. It sounds like you may a faulty door lock switch. If you pushed the switch to lock the doors and the switch stuck and kept door lock solenoids energized, that would drain the battery. It would also keep the door locks from unlocking, as to why window don't work it could all be on the same fuse or circuit breaker. Usually the power windows are on an automatic reset circuit breaker. Do you hear click and a short time later another click (with the battery charged)? If so that the circuit breaker tripping then resetting. Good luck! There is a circuit breaker inside the headlight switch body. It gets weak over time and use. The breaker is actually mentioned in the owners manual. A new switch is about $75.00 at the local parts store. You must remove the front of the dash to change the switch. Mine would go off and then in about 30 seconds reset and the lights would come back on. I would be driving down the road with my headlights flashing as the circuit breaker opened and closed. New switch = problem fixed.